Welcome to Lex Brodie’s University – LBU ! 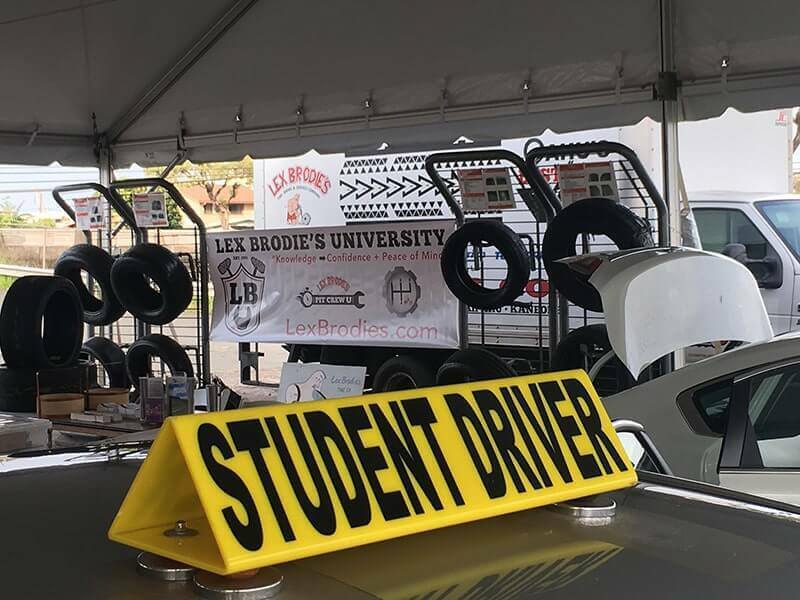 LBU was created to help be an educational resource for our customers, new drivers and for our Lex Brodie’s Team Members. 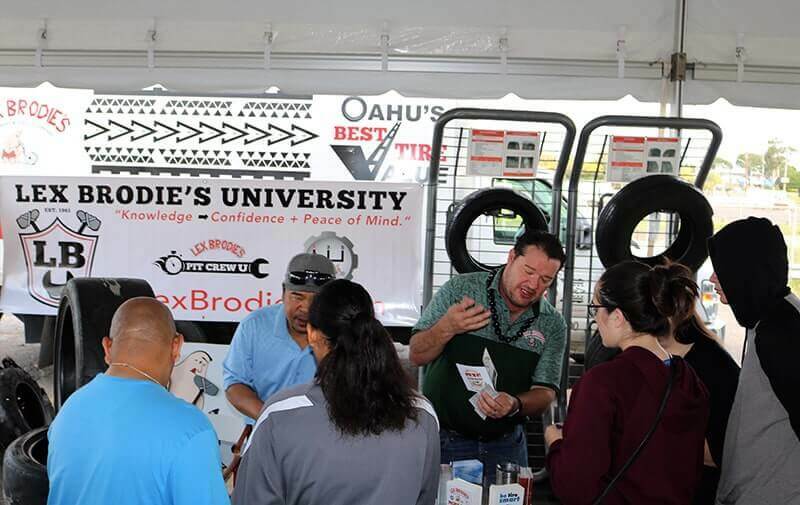 We believe a better informed public and better trained team helps keep our Oahu’s families safer on our road ways and helps prevent road side break downs while also helping save our customers times and money. 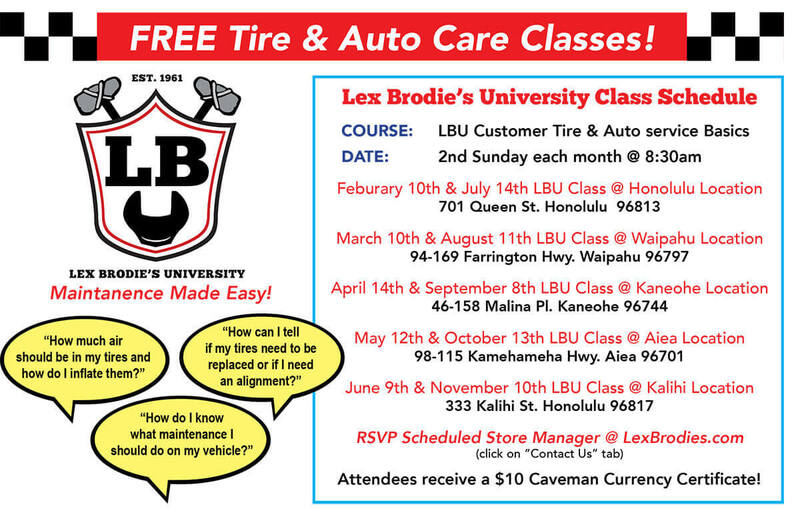 Here is a short video with a sample of what you can expect from our LBU class; Lex Brodie's LBU Customers Tire & Auto Service basics Class! Air Pressure (How to set and where to find the proper air pressure). Demonstrate setting air pressure. How to inspect tire condition. Why it’s good to look to change tires starting at 4/32nds? When are tires legally considered worn out? How to know the proper tire for your vehicle. Explain the proper tires for test vehicle. Complete Michelin’s “Beyond the Driver’s Test”. Then Michelin’s 10 Golden Rules for new drivers. Knowledge of their autos (or their dream cars) Factory Recommended Maintenance. Why is this maintenance important? When to replace timing belt? How to use Lex Brodie's Napa auto training tool to learn about key auto components. Check Auto Fluids; when and how. Demonstrate checking oil, coolant and brake fluid. Wheel Alignment function and common alignment system symptoms resolved through wheel alignment training. What is the Toe setting? Camber? Caster? Is the Alignment different then Wheel Balancing? Share a story or feedback the new driver would like us to share with future new drivers and / or with the public on our social media platforms. Why is it dangerous to drive drowsy?